See the function of the orbital tank washer Twister in our new animation. 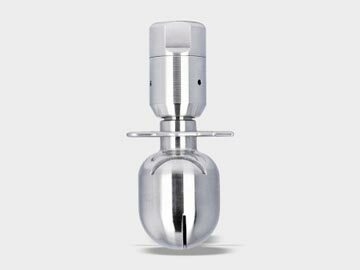 The orbital cleaner type Twister is designed for tank inside cleaning and stationary installation. Use of an orbital Cleaner in a spray dryer. Breconcherry has been synonymous with high quality, innovative cleaning technology for 45 years. The story has its beginning in the town of Ledbury. The “Fury” orbital cleaner was developed there. The orbital tank cleaner Tempest is designed to be one of the most powerful, and versatile cleaning units. It’s sleek, smooth exterior, combined with the unit’s self cleaning abilities, provides an ultra hygienic exterior surface suitable for use in the most hygiene conscious environments. 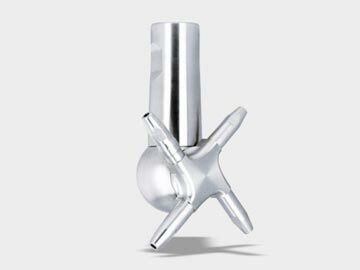 The jet cleaner Turbo SSB 40 takes the popular slotted spray ball format into its next evolutionary phase by removing the ball bearings and slowing the rotation speed down.